The Christmas lights in Barcelona are called “Els llums de Nadal” in Catalan. They are turned on every year by the mayor of the city. There are Christmas lights in almost 400 locations around Barcelona, and they will be turned on from late November until beginning of January. Around Placa Catalunya there will be some of the most impressive Christmas lights. Have a look on the surrounding streets as well, Portal de l’Angel is famous of its light decorations. 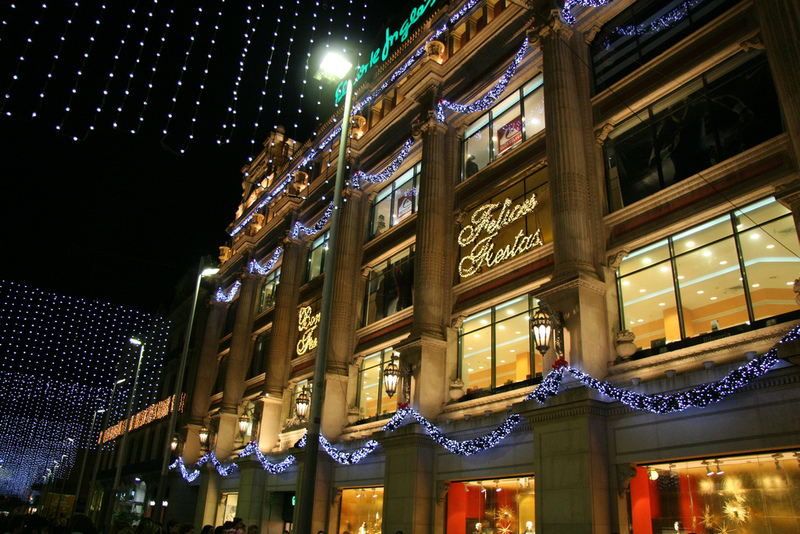 Next to Placa Catalunya is the Corte Inglés deparment store, and it’s known from its impressive Christmas lights. The shopping center is usually decorating the whole outside wall with spectacular lights. From Placa Catalunya you can walk all the way down to the sea along the Las Ramblas walking street. The theme of the Christmas lights will vary every year, so you can never know in advance what kind of lights there will be. 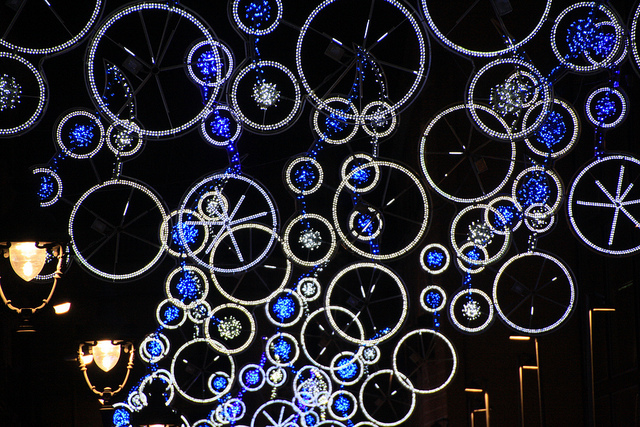 Stop by the surrounding areas of Sant Antoni market, there will be some impressive lights, too. Placa Espanya and streets of Ronda de Sant Pere and Passeig de Gracia are also usually having beautiful and plentiful Christmas decoration. The Magic Fountain has a special Christmas light and sound show every Friday and Saturday from November to the early January. The shows starts at 19, 19.30 and 20 pm, and lasts 30 minutes each. All the authentic, narrow streets of Gracia neighborhood will be decorated with different Christmas lights. The building is having a special light decoration and show in the evenings during the Christmas period. On Avenida Portal de l'Angel in front of the Corte Inglés shopping center is the Barcelona's biggest Christmas tree. Another famous Christmas tree is placed on Placa de Sant Jaume in the Gothic Quarter. From there you will also find one of the Barcelona's official Nativity Scenes, "pessembre" in Catalan.